A thoughtful and surprising argument for American tax reform, arguably the most overdue political debate facing the nation, from one of the most respected political and economic thinkers, advisers, and writers of our time. THE UNITED STATES TAX CODE HAS UNDERGONE NO SERIOUS REFORM SINCE 1986. Since then, loopholes, exemptions, credits, and deductions have distorted its clarity, increased its inequity, and frustrated our ability to govern ourselves. By tracing the history of our own tax system and assessing the way other countries have solved similar problems, Bruce Bartlett explores the surprising answers to all these issues, giving a sense of the tax code’s many benefits—and its inevitable burdens. 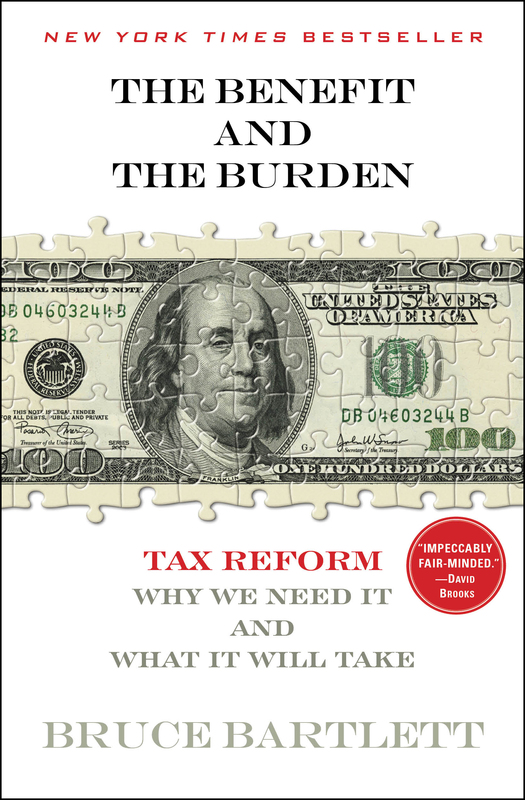 From one of the most respected political and economic thinkers, advisers, and writers of our time, The Benefit and the Burden is a thoughtful and surprising argument for American tax reform. The tax code is like a garden. Without regular attention, it grows weeds that will soon overwhelm the plants and flowers. Unfortunately, no serious weeding had been done to the tax code since 1986. In the meantime, many new plants and flowers have been added without regard to the overall aesthetic of the garden. The result today is an overgrown mess. There is a desperate need to pull the weeds, cut away the brush, and rethink some of the plantings to restore order, beauty, and functionality to the garden. At its core, the purpose of any tax system is to raise the revenue needed to pay the government’s bills. Ideally, one would like to start with a clear philosophy of what government should do and how much it should spend, and only then decide how to raise the revenue to pay for it. The size and composition of spending are critical determinants of the nature of a proper tax system. A small government, such as we had in the nineteenth century, could be funded almost entirely by tariffs and taxes on alcohol and tobacco. A larger government, even one as small as we had in the 1920s, required a much broader tax base. A Social Security system required a payroll tax and so on. The problem we have today is that there has been a serious divergence between the size of government that people want and what they are willing to pay for. The idea that deficits are an irresponsible passing on of debt to future generations is no longer sufficient to support a tax system capable of raising adequate revenue to finance current spending. Nor is there the political will to cut spending to the level people are willing to pay. At the same time, no one believes this trend is sustainable. A debate about tax reform may help clarify the role of government in the twenty-first century. The public misunderstands basic facts about the tax system. Polls show that people consistently believe the federal tax burden to be significantly higher than it actually is, and few know that close to half of all tax filers either pay no federal income taxes at all or get a refund; that is, they have a negative tax rate. The purpose of this book is to walk readers through the fundamentals of taxation at the simplest level: What is an effective tax rate? How does that differ from the statutory rates in the 1099 form? What is a marginal tax rate? What is the tax base? Why are different forms of income taxed differently? What is a tax expenditure? Is that the same thing as a tax loophole? To cover a vast amount of material in a small number of pages and to make the discussion comprehensible, a lot of detail has been sacrificed and many nuances have been glossed over. No one should attempt to use this book to prepare their tax returns. The questions anyone might have about how the tax system affects them personally should be directed to a tax professional. I have tried to be fair. That is, I have attempted to cover the waterfront and present all the issues and various alternatives and options accurately and without distortion. But I haven’t tried too hard to hide my biases, either. I believe that federal revenues will need to rise as a share of GDP in coming years to pay for the cost of an aging society and stabilize the nation’s finances. I think it is unrealistic to try to accomplish that solely by cutting spending. I also believe that should the need for higher revenues be accepted by Congress, it would be better to raise those additional revenues by taxing consumption rather than raising tax rates. But the wealthy will also have to increase their contribution. If they don’t, the rest of us will have to pay more. I think it is irresponsible to view tax expenditures as fundamentally different from spending. Many conservatives and libertarians foolishly think every provision of the tax code that reduces revenue is per se good because it shrinks the size of government and allows people to spend their own money. This is nonsense. Any tax provision that causes economic resources to be utilized differently from their use in a free market—as all tax expenditures do by definition—cannot meaningfully be distinguished from direct spending in terms of government control over these resources. It is myopic in the extreme to view all tax cuts as good and all spending as bad, whether from a philosophical or an economic point of view. While I do not present my own plan for tax reform, if it were up to me, I would institute a value-added tax (VAT) and use the revenue to make obvious fixes in the tax code. I would abolish the Alternative Minimum Tax and reduce the corporate tax rate, and put in place a tax that can be raised gradually over time to pay for rising entitlement spending. One idea might be to abolish the payroll tax for Medicare and earmark VAT revenues to pay for Medicare. That way, everyone will have an incentive to control Medicare costs, and at least some of the tax will be borne by its beneficiaries. The Further Readings appended to each chapter are not intended to be comprehensive. Their purpose is twofold: first, to give those curious about researching the topic themselves a starting point to begin; second, to document a few specific points in lieu of footnotes. Hopefully, readers will have no difficulty determining from the authors and titles which publications are relevant. Many of the academic articles I have listed are available with a simple search. I recommend Google Scholar (http://scholar.google.com). Type the title of an article you are interested in finding into the search engine, and often you will find a free copy. It is common for university professors to post all their work on personal websites or at the Social Science Research Network (www.ssrn.com). This is especially so for economists and law professors. Google Scholar also provides lists of articles similar to the one you have searched and those that have referenced it. If you search for a known classic in a particular field, you will often find almost everything on the topic ever published in an academic journal ranked in order of importance. If such sources don’t work, try local libraries. Almost all now have powerful databases available online that are freely accessible for anyone with a library card and an Internet connection. My personal library in Fairfax Country, Virginia, for example, provides access to a database called ProQuest that makes available hundreds of newspapers, law reviews, and academic journals. In the event that the one I am looking for isn’t available, the Virginia State Library in Richmond has additional databases. Many universities now provide limited access to their library databases for alumni. And many of the commercial publishers of academic journals now allow people to buy copies of individual articles. The price is usually excessive, but may be worth it in some cases. Insofar as the tax law is concerned, the resources of the Joint Committee on Taxation (JCT) are essential. It periodically publishes surveys of tax issues to inform members of the Senate Finance Committee and House Ways and Means Committee and help them prepare for hearings. Since many members of these committees are not lawyers, JCT reports tend to be relatively accessible to nonspecialists, yet are authoritative. I would also recommend reports from the Congressional Research Service (CRS). Unfortunately, CRS distributes its publications only through congressional offices. However, most become publicly available and are often posted online through the Federation of American Scientists (www.fas.org/sgp/crs) and Open CRS (http://opencrs.com). Your representative or senator can always supply you with a CRS report if you know it exists. On the economics of taxation, the premier research organization is the National Bureau of Economic Research. On a weekly basis, it publishes research by the top public finance economists in the United States. Its working papers are available for a modest fee, and all of its out-of-print books and journals are available free. One that I have referenced frequently is Tax Policy and the Economy, published annually. Equally valuable is the Tax Policy Center (TPC, www.taxpolicycenter.org). It is especially useful for those researching topical tax proposals. TPC often posts revenue estimates and distribution tables for recent tax initiatives that are equal in quality to those produced by the JCT and the Treasury. There is also a wealth of historical data on the tax system that I have relied upon heavily in writing this book. Another good source is the Tax Foundation (www.taxfoundation.org). It tilts to the right side of the political spectrum, but its numbers are solid. Regarding international tax issues, the Organization for Economic Cooperation and Development in Paris (OECD, www.oecd.org) is a central data source. It maintains an extensive tax database with files easily downloadable into spreadsheets. The OECD covers only major market-oriented economies, however. The best source for tax data on other countries is an annual report from the World Bank called “Paying Taxes.” The international accounting firm PWC compiles the data, which are available free to download (www.pwc.com/payingtaxes). PWC also has a website with detailed information on the tax systems of virtually every country; this information is free except for a registration requirement (www.pwc.com/gx/en/worldwide-tax-summaries/index.jhtml). The international accounting firm KPMG produces an annual report called “Competitiveness Alternatives” that contains comparable tax data oriented more toward corporations. It is free to download (www.competitivealternatives.com). Two indispensable journals in the field of tax policy are the National Tax Journal and Tax Notes. The former is published by the National Tax Association (http://ntanet.org). Recent issues are available only to members, but issues more than two years old are freely available back to 1988. The latter is a weekly magazine published by Tax Analysts (www.taxanalysts.com). It is expensive but invaluable. It is probably available online at any good university library. Another useful publication is the Statistics of Income Bulletin, which is published by the IRS and freely available on its website. 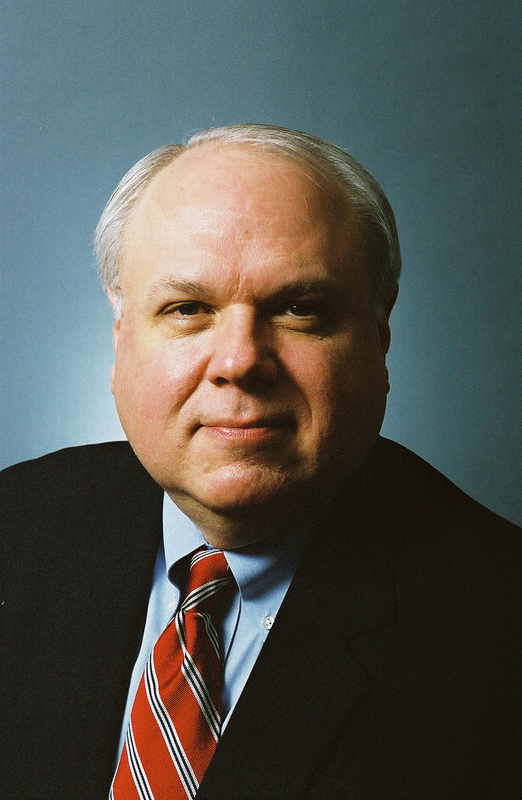 Bruce Bartlett is a columnist for the Economix blog of The New York Times, The Fiscal Times, and Tax Notes. Bartlett worked as staff director of the Joint Economic Committee of Congress, senior policy analyst in the Reagan White House, and as deputy assistant secretary for economic policy at the Treasury Department during the George H.W. Bush administration.